Here's your second chance, because it's back on the market! 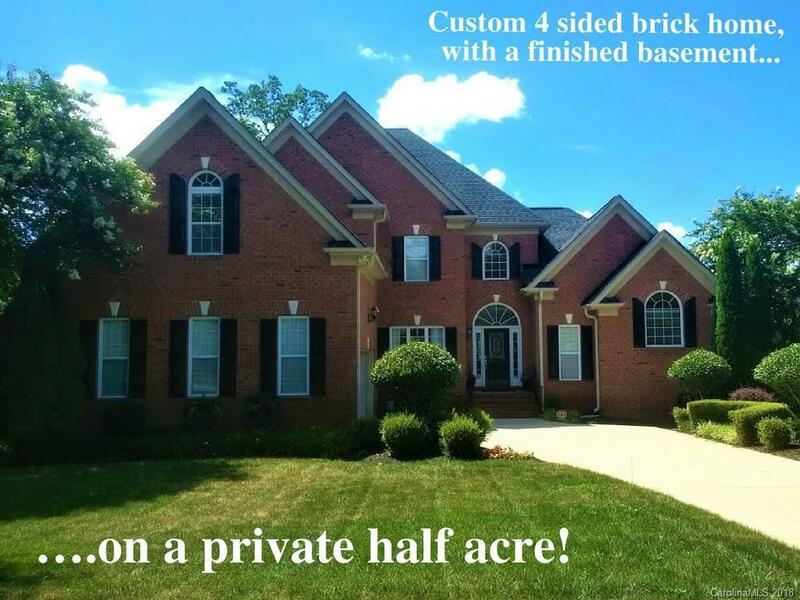 (as of 11/27/18) IMAGINE YOURSELF LIVING IN A BEAUTIFUL CUSTOM HOME on a large half acre premium lot, coupled with a huge plus.... a vast amount of extra living, entertainment and/or storage space in the FULLY finished basement! Now you can live in a larger home within the beauty of an upscale community with rolling hills and amenities. A very comfortable and lavish home with extravagant extra features. It's much more than a typical home, it's where you'll also really enjoy entertaining yourself and others. Having a luxurious movie room with plush seating will be a very popular place, but that's just an added bonus to the immense amount of entertainment space that's surrounded by sound, both inside and out. The large private lot will enable you to have peace and tranquility... along with creating a lot of good memories of fun times now and into your very happy future. You must see it for yourself in-person!